Many variables affect tick population size, but even one tick still poses risks. Tufts University professor Sam R. Telford III responded with a prolonged guffaw the other day when he heard the question, the same one he gets every spring: Will Massachusetts have a big population of deer ticks this year? “Every year I’ve been wrong,” said Telford, who demurred this time. 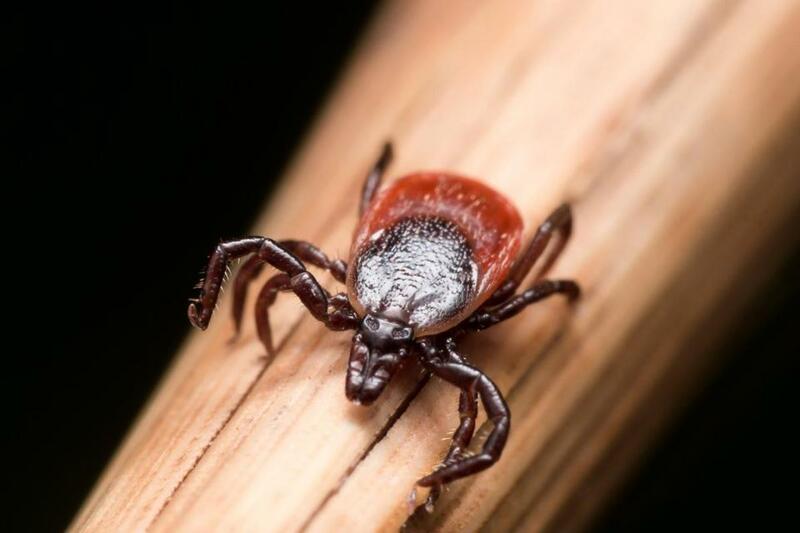 “It’s not because I don’t know anything about ticks.” Quite the contrary: A specialist in diseases transmitted by animals, he has spent decades studying the eight-legged fiends known to entomologists as Ixodes scapularis and to the rest of us as the bugs that transmit Lyme disease. And one thing Telford has learned is that the tick census is unpredictable. Too many variables affect population size — variables so numerous and hyperlocal that one person’s yard can be teeming while the next door neighbor’s is pristine. People, she said, need to take precautions every year: Wear tick-protective clothing and insect repellent, and check for ticks after going outside. It’s tick season in Massachusetts. Here’s what you need to know. Still, there is talk of a 2017 “tick apocalypse,” as one television station called it, apparently originating with research at the Cary Institute of Ecosystem Studies in Millbrook, N.Y. There, disease ecologist Richard S. Ostfeld has developed a theory that white-footed mice are the prophets of Lyme disease — and unlike Brown, he believes it’s worth raising awareness when the risk is higher. Ticks feed on mice, and when mice are plentiful, the tiny blood-suckers are more likely to survive. They also have more opportunity to pick up the bacteria that cause Lyme disease. After gorging on a bumper crop of acorns in Ostfeld’s Hudson Valley neighborhood, the mouse population there has exploded, leading to Ostfeld’s predictions of a tick blowout this spring. But while he’s confident the mice are “a major determinant” of tick population, Ostfeld acknowledged he’s not sure how mice are faring in Massachusetts. And that’s the problem, said Stephen Rich, microbiology professor at the University of Massachusetts Amherst, who runs a tick-testing laboratory. “We don’t know where mice are more abundant this year than last year,” he said. But we do know, Rich said, that ticks will be out there. “This is a constant concern,” he said. Even if your dog goes out on a warm March day and comes back covered in ticks, that provides no information about what lies ahead, said Thomas N. Mather, director of the University of Rhode Island’s Center for Vector-Borne Disease and its TickEncounter Resource Center . The ticks found today are adults in their twilight weeks. They will be dead by May. The ticks most likely to infect people are part of the next generation, the poppy-seed-sized nymphs that start emerging in May. How many will survive is unknown, Mather said. 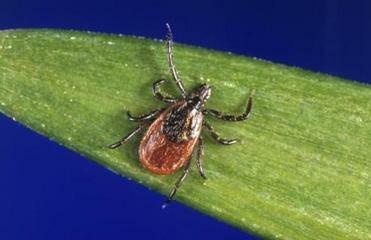 A key factor will be dampness: Ticks die when dry. If there is so little springtime rain that people are running lawn sprinklers on Memorial Day, “it’s probably not going to be a great year for ticks,” he said. But people have more than Lyme disease to worry about. Deer ticks carry five microbes that cause human disease. Symptoms are similar — fever, chills, headache, fatigue, and muscle aches. — Borrelia burgdorferi causes Lyme disease. Massachusetts recorded 5,600 confirmed and probable cases in 2014, but health officials believe there were up to 10 times more than that. — Human granulocytic anaplasmosis: There were 763 confirmed and probable cases in Massachusetts in 2015, a 26 percent increase over 2014 and about five times the number recorded in 2010. — Borrelia miyamotoi is similar to Lyme disease but can be more severe, with fever being a key feature. It was first identified in the United States in 2013. The state does not have data on its incidence. — Babesiosis is caused by a malaria-like parasite that infects red blood cells. Many people have no symptoms, but the illness can be life-threatening in those with weakened immune systems. Massachusetts recorded 445 confirmed and probable cases in 2015, down from the peak of just over 500 in 2014, but nearly five times as many as in 2010. — Powassan is a virus that can be deadly, but few people get sick from it. It’s believed that many people have been infected with Powassan but show no symptoms. In some people, the virus causes encephalitis, and about 10 percent of those people die. In Massachusetts, 13 cases of Powassan have been reported since 2013, and three were fatal. At UMass Amherst, Rich leads a testing program that seeks to track the prevalence of these illnesses. People who find a tick can mail it in to learn what microbes it carries. The test costs $50. Discounts are available for people who live on Cape Cod and in certain other Massachusetts towns that have provided subsidies. Anyone can also explore, by state or ZIP code, the results of tests on more than 22,000 ticks from around the country. For more information, go to www.tickreport.com.